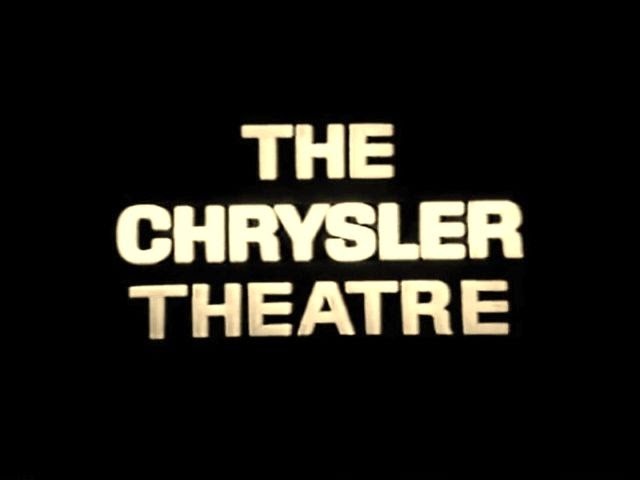 There is a lost episode of Bob Hope Presents the Chrysler Theater, the acclaimed filmed anthology that ran on NBC for four years in the mid-sixties. Filmed sometime in 1966, during the first half of the show’s final season, this episode was rejected by the sponsor and never shown publicly. It’s likely that a copy still exists, but if so, it hasn’t seen the outside of Universal’s vaults in nearly fifty years. Actor said that he plays a very hard commandant of the camp, a strict disciplinarian. In a key scene, a drunken GI tells him as far as he is concerned about the war, the more who get killed over there, the better the chances for him to get a job when it’s all over. Nielsen said that after this remark a fight ensues, in which the GI is accidentally killed. It was about a crazy commander of this stockade, and he had flipped out and was commanding his stockade like it was a [concentration] camp. He would make people stand in a circle, and if they moved out of the circle, the guards were ordered to shoot them. I’m kind of a goofball. The only thing that came to my mind was Laurel-and-Hardy kind of goofball, where Hardy gets into a dilemma and all he can do is waggle the end of his tie. They remember you better if you’re funny, versus just being a bad guy. I decided to play it that way. They were there for a reason, and my one scene dealt with that reason. And that was a little added – my little deal, that I was allowing myself to give this character that much depth. Incidentally, Jennings Lang, Universal’s head of television at the time, denied the controversy, claiming (lamely) that “Barbed Wire” was shelved because of possible plans to develop it as a feature film. But it’s clear that the Variety reporter put more stock in what he or she called “insider reports” (most likely a leak from Roth) of the more controversial explanation. About eighty of the one hundred or so Chrysler Theater episodes were syndicated, in two separate packages, albeit never widely. (The exact episode count for Chrysler is debatable, depending upon whether or not one includes the comedy specials starring Hope that aired in the Chrysler timeslot about every fourth week.) 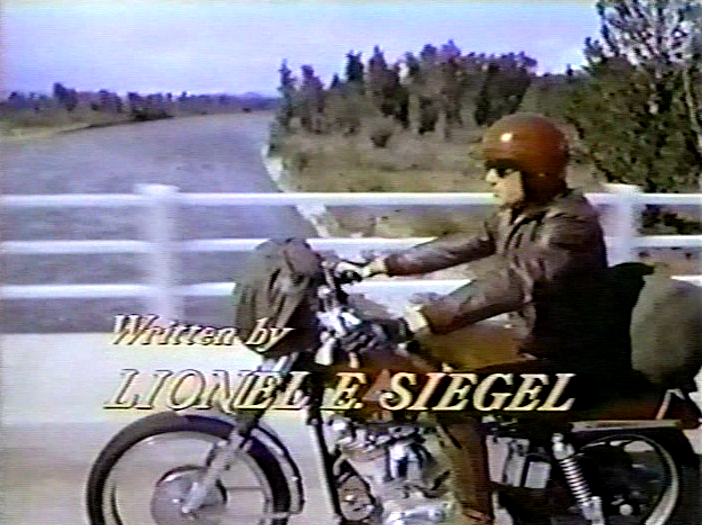 But many of the unsold pilots and two-parters, as well as scattered other episodes, were withheld from syndication. In most cases, those were either expanded or re-edited as features for overseas release and resurfaced in the U.S., if at all, in TV-movie packages. Others disappeared because of rights issues. (For instance, the writer S. Lee Pogostin told me that his Emmy-winning episode “The Game” got locked away after Hope acquired the rights for a theatrical remake, which was never made.) Unsurprisingly, “Barbed Wire” appears to be one of those unsyndicated episodes. I stumbled across this story while researching Then Came Bronson and Michael Parks, who in 1966 was in the midst of a terrible run of luck both personally and professionally. In 1964 his wife of only five weeks, the actress Jan Moriarty, died of an overdose of pills, and in 1968 the actor’s brother, James, drowned in a skin-diving accident. In 1966, Parks refused a role in a remake of Beau Geste, and his studio contract at Universal fizzled out in acrimony and litigation. He didn’t act for nearly three years, apart from four made-for-TV movies. The comeback promised by Bronson had the opposite effect, as Parks’s disputes with the series’ producers and directors were widely reported and landed him on what Bronson casting director Joseph D’Agosta described as Hollywood’s “life’s too short” list. (As in: Life’s too short to work with that guy.) Once again, after Bronson was canceled in 1970, Parks was absent from the screen for three years – wholly absent, this time – until he accepted a leading role in Between Friends, a Canadian film by the acclaimed director Donald Shebib, which gradually resuscitated his career. (Coincidentally, his leading lady in Between Friends was his leading lady from the Bronson pilot, Bonnie Bedelia.) During that exile, in 1971, Parks’s nine year-old stepdaughter, Stephanie, was hit and killed by a motorist in Ojai. Although minuscule in comparison to those other setbacks, the disappearance of “Barbed Wire” couldn’t have come as good news – especially since one of those three late-sixties telefilms, 1968’s An Act of Piracy (directed by William A. Graham, who directed the Bronson pilot), was also shelved. A 1970 Variety article implied that Piracy was rejected for a World Premiere slot due to “violence,” but it’s also possible it was just terrible, judging from Parks’s description of the character he played: “I was forced to play a fat, bald, gold-toothed Mexican revolutionary. They say I came across like a cross between Fernando Lamas and Marlon Brando; I think it’s more like Alfonso Bedoya and Dame May Whitty.” At least An Act of Piracy, which also starred William Shatner, was finally broadcast – but not until 1976, and under an even more generic title, Perilous Voyage. For Colley, “Barbed Wire” had a more positive outcome. 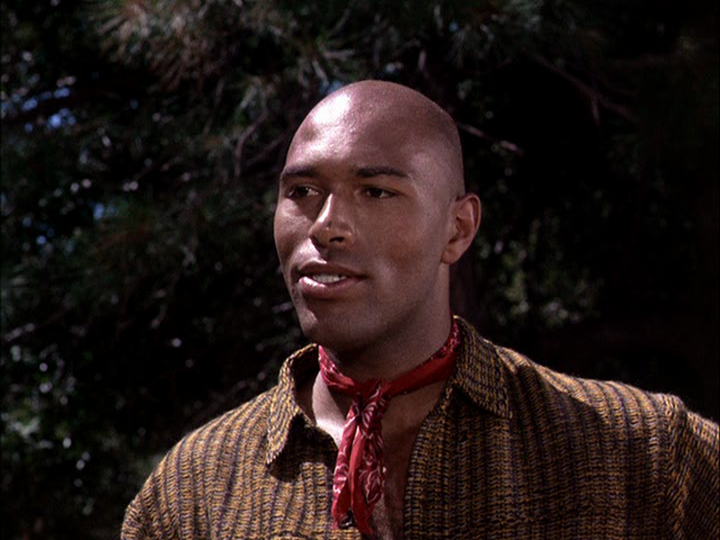 The final version of the episode cut Colley’s one big scene for length, but the supportive Roth arranged for the young stage actor to get a copy of the minute-long sequence for his reel. Ironically, that one minute would be all of “Barbed Wire” that anyone outside of Universal would ever see – and it helped Colley to get him the breakout role as the Canadian trapper Gideon during the penultimate season of Daniel Boone. Needless to say, it would be most welcome if Universal were to liberate “Barbed Wire” and some of the other elusive Chrysler Theater segments – if not for a commercial release, at least for deposit at UCLA or another archive.